In my next lifetime, I'd like to be an Italian. Just thinking about the country, the rich culture, the history, the language makes me swoon. 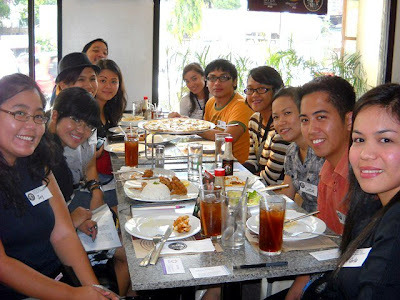 And, of course, I've already stated one too many times that I LOVE, LOVE, LOVE Italian food! 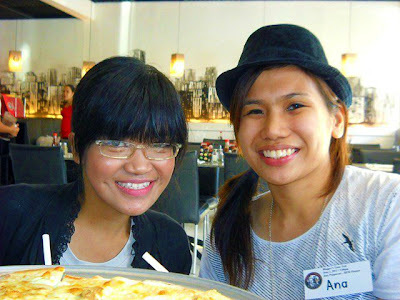 Ana and I got there a bit early so we were able to look around and make ourselves comfortable before we "stuffed our faces full" LOL. Once we were settled, Miss Carla introduced to us the concept of Joey Pepperoni. 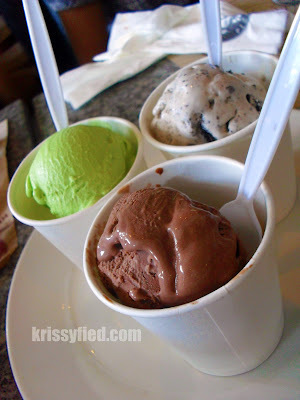 Miss Carla said they've revamped the menu: from boring black and white to loud and colorful. 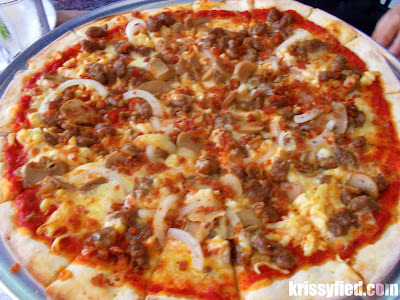 Joey Pepperoni Pizzeria is a casual restaurant that specializes in its distinctive take on contemporary Italian-American cuisine. 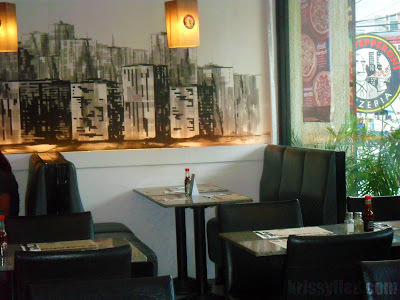 Whether by dine-in, take-out or delivery, every order from the Joey Pepperoni menu is sure to satisfy those who crave enduring delights such as pizza and pasta - at affordable prices, to boot. 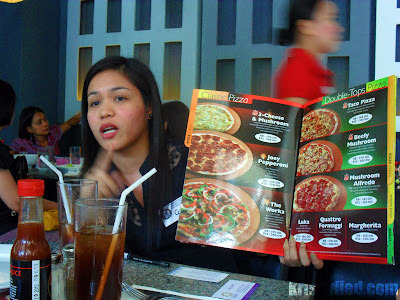 In short, Joey Pepperoni offers a premium dining experience at non-premium cost. 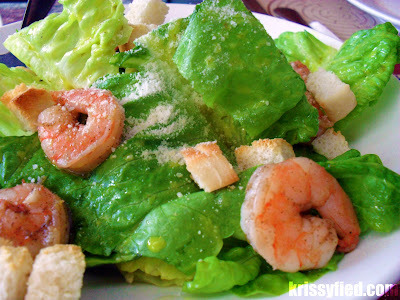 A healthy yet rewarding plate of Fresh Romaine lettuce tossed with honey mustard dressing, topped with an enticing medley of scrumptious shrimps, croutons, and parmesan cheese. 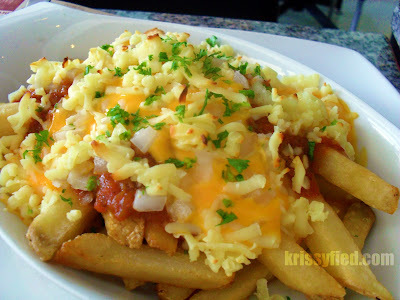 A plate of rusette fries smothered with their house special meat sauce and deluged with chili flakes, white onion, cheddar and cheese sauce. 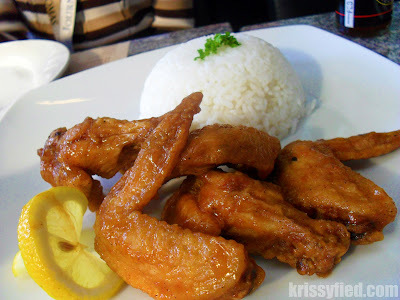 A plateful of deep-fried chicken wings tossed with Joey Pepperoni's very own special barbecue sauce blend. 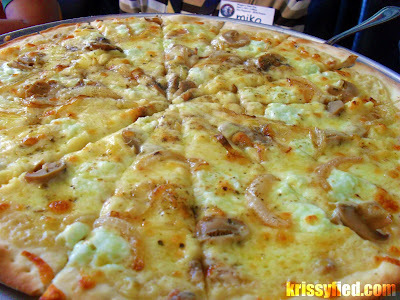 A succulent combination of three kinds of cheese - mozzarella, white cheese, and cheddar - mixed with Bechamel, anchovies, mushroom, and caramelized onion. A bed of mushroom pizza with mozzarella, cheddar, toasted bacon bits and white onion. 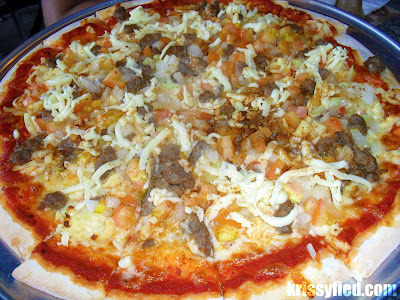 Mexican-inspired pizza which is an awesome jumble of taco-seasoned pizza overloaded with mozzarella, beef toppings, tomatoes, white onion and cheddar cheese. A hearty pan of pizza smothered with Bechamel sauce and topped with mozzarella, bacon bits, garlic, mushroom, red onions, and toasted bacon bits. 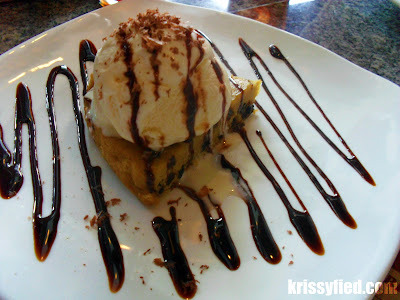 Cookie dough with chocolate chips topped with a scoop of vanilla ice cream and drizzled with chocolate syrup. As if everything we ate wasn't enough, we were also given packs of Kornados and Kettle Korn to try (which my officemates were VERY happy about LOL). From the makers of Kettle Korn (Joey Pepperoni's sister company), Kornados is a 3D corn snack that comes in Original, Cheese, and Barbecue Flavors. We were also given a quick tour around the kitchen by Chef Anna so we can see how they make the pizza. We weren't allowed to take photos, but it was my first time to visit the kitchen of a restaurant so it was quite an amazing experience for me. What makes Joey Pepperoni pizza taste so good? 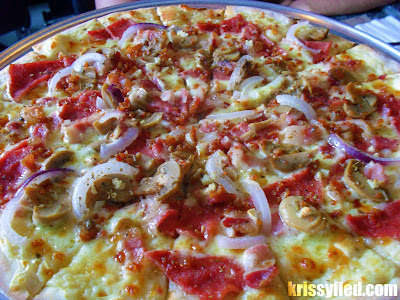 Miss Carla said the secret lies in the dough, and they are proud to say that their pizza dough is made from scratch each time, every time, therefore ensuring each bite is fresh and flavorful. Yummm. I really enjoyed gobbling all the food! Don't believe the photos; I may look tiny but I sure can eat! 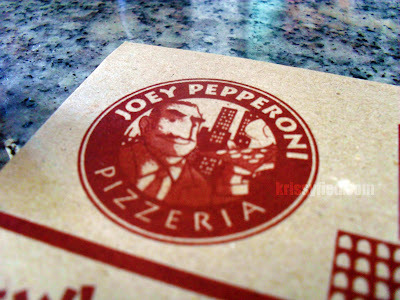 :D I can't wait to bring my family to the nearest branch of Joey Pepperoni (that'll be the SM North EDSA-Annex branch) as I'm sure they will also love it the way I did! 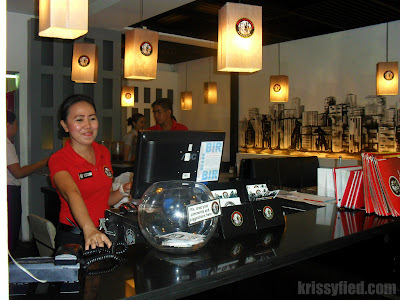 Aside from the RFM Corporate Center in Pioneer and SM North EDSA - Annex branches, Joey Pepperoni branches can be found at: Robinsons Place in Ermita, Manila; SM Mall of Asia in Pasay City; Fairways Tower at The Fort in Global City, SM Mezza Residences in Araneta Avenue in Quezon City; Eugenia Arcade in Iloilo City; SM Center Las Pinas; SM Cubao; The Columns in Ayala Avenue, Makati City; SM Manila: Graceland Mall in Malolos, Bulacan; SM Dasmarinas; DBP Bldg in Makati City; SM Lipa; SM Tarlac; SM Baguio; SM Calamba; and SM Masinag in Antipolo City.